This Advent, The Wonder of Advent Devotional offers to bring you into a deeper experience of this integral time in the church calendar. Reconnect you with what happened in Bethlehem long ago—and experience it anew in your life right now. 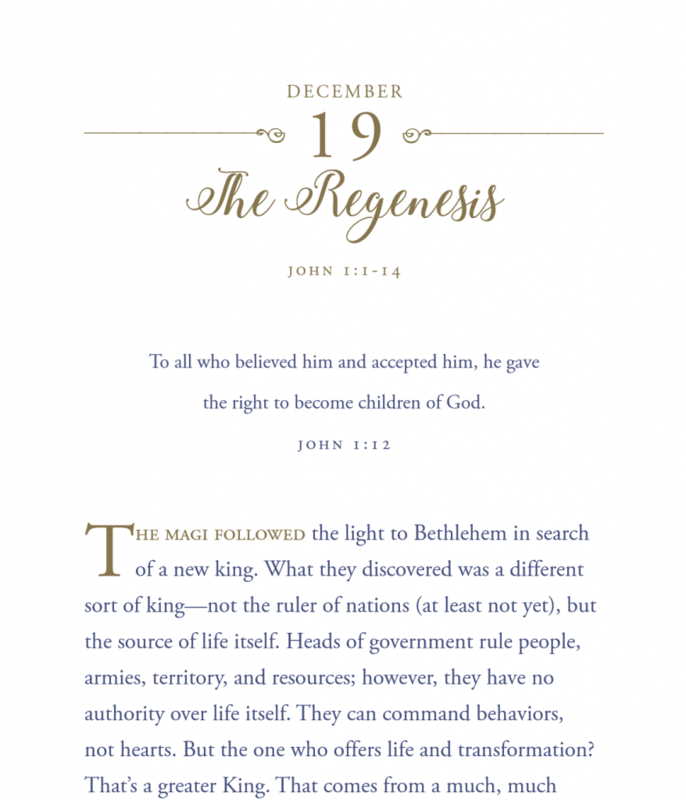 Download a devotional for December 19th as you prepare for Christmas! Click the image below.